I just licked the photo. Reblogged this on ❤Cursed Addiction❤. Looks so delicious…the walnuts…the whipped cream! (The latter looks homemade-even better! Mini banana split. It is my favorite ice cream dish. Reblogged this on Let's Go and Be Adventurers. I will put my diet behind my back. OMG…drooling! Bad time to be on a diet! wOww…. I really like it! 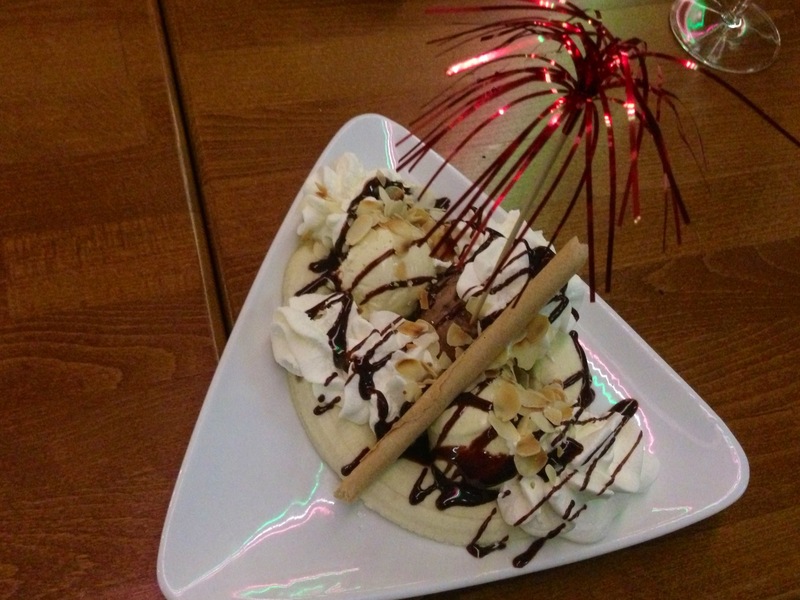 This is the 1st time I’ve ever seen a banana split with only vanilla ice cream-I assumed it was only ever made with vanilla/chocolate/strawberry ice cream, but this looks wonderful too! (When I was little, if my parents or someone else treated me to DQ or another ice cream parlor, it was only always served with 3 flavors combined, & I remember it being delicious! I guess it could be made with pretty much any flavor/combination of flavors, though! Reblogged this on Jimsanders Blog.